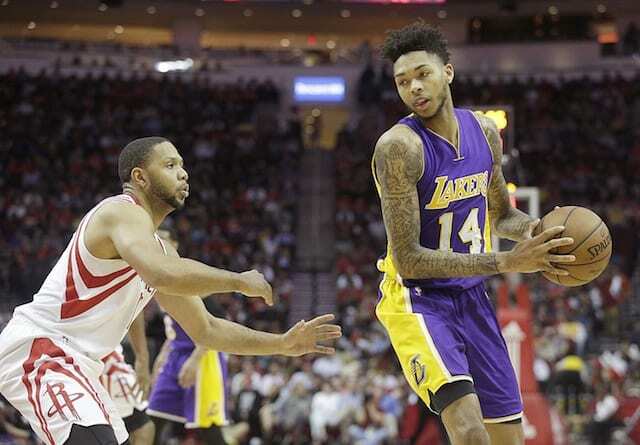 The Los Angeles Lakers were able to snap their losing streak, which now sits at four games as they face the Houston Rockets in the second of a back-to-back. The Lakers are looking to right the ship against a Rockets team that’s on a six-game winning streak. Additionally, Houston has won 12 of their last 13 games. They’re also a well-rested group, having last played on Wednesday. The Rockets are led by professional scorer James Harden, now fully entering the conversation each and every season as an MVP candidate. Not only has he led the league in scoring this season, but Harden’s ball-handling duties while Chris Paul out also helped him lead the league in assists per game. With a plethora of 3-pointer shooters and a few mobile bigs, former Lakers coach Mike D’Antoni has his team performing at a high level. 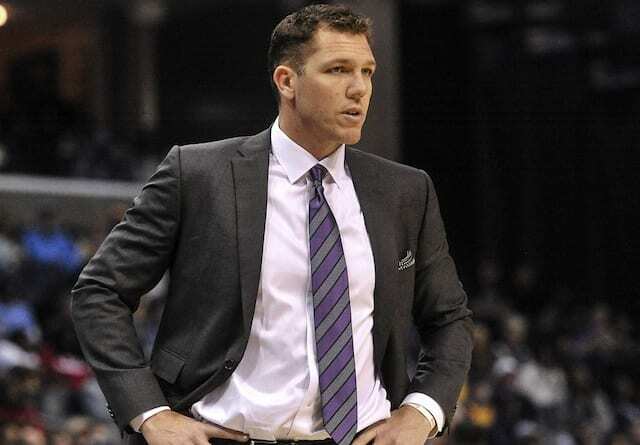 Lakers head coach coach Luke Walton will have his hands full in attempting to devise schemes that will slow a potent offense in what will likely be an up-tempo battle. Sunday’s contest marks the first of two games between the Lakers and Rockets over the next 12 days, as the Lakers enter the most difficult part of their schedule this season. Harden has put together another strong stretch of games thus far during the 2017-18 season. Through 21 games, he is averaging a career-high 31.5 points, 5.2 rebounds, and 9.8 assists. While his shooting always demands respect on the court, his ability to absorb and create contact make him one of the hardest players to guard in the NBA. Sharpshooter Eric Gordon is also another threat that can put up a series of buckets on any given night. Gordon can get hot at any given point during the game, able to use his floater in the lane and thrive on open three-point shots. Already with two strong backcourt pieces, the Rockets hit the jackpot this offseason when they acquired Paul from the L.A. Clippers. After missing portion of the season due to an injury, Paul has returned to his team and brought his veteran expertise and playmaking ability to a team that needs a reliable option. What has emphasized Paul’s extraordinary play this season has been his ability to limit turnovers. The Lakers own backcourt will have a lot to handle in a matchup versus the Rockets, but can step up to the occasion. Kentavious Caldwell-Pope will likely be pitted against Harden, to try an limit his production on the court. At the same time, Caldwell-Pope is a deadly shooter that has shown this past week just how explosive his offense can be. Lonzo Ball will have another chance to excel in a fast-paced game, showing off his tremendous passing ability when on the court. Ball has averaged seven rebounds and 7.2 assists through 21 games this season, continuing to show more and more confidence with every coming game. Jordan Clarkson will also have a pivotal role off the bench for the Lakers, perhaps the lone guard coming off a bench in this matchup that can consistently create his own shot. Corey Brewer and Tyler Ennis will both have a chance to compete against their former team, with the Lakers acquiring both of the role players in separate trades with the Rockets last season. Trevor Ariza returns to the city where he turned his NBA career around, earning his sole championship with the Lakers. Since then, Ariza has emerged into one of the consistent veterans around the NBA that affect every facet of the game, filling the stat sheet and affecting both ends of the court. P.J. 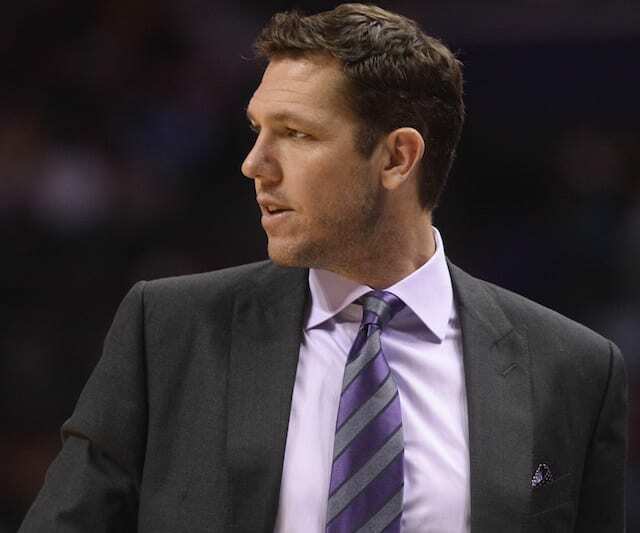 Tucker, who agreed to a four-year, $31.8 million deal with the Rockets during the offseason, will be an X-factor for this team in crucial games. His strength allows him to compete defensively, crashing the glass and also a scoring possibility when not addressed by the defense. Clint Capella continues to shine in the pick-and-roll for Houston, the recipient of many easy baskets due to unsuccessful defensive rotations. Capella has worked on his overall game during his short time in the NBA, progressing into a shot-blocking presence, a player the big men the Lakers will have to address by rotating on and boxing out. Ryan Anderson is yet another key piece for D’Antoni, seen as the ideal fit for a spaced-out system that relies on consistent shooters. NeNe, Luc Mbah A Moute, and former Laker Tarik Black are physical options off the bench for the Rockets, depending on whatever lineup the team wants to work with. The frontcourt of the Lakers enters Sunday’s contest with a recent change, as Larry Nance Jr. returned a few games ago and has re-joined the starting lineup. His hustle play and high basketball IQ help solidify the top-ranked defense. On the other hand, Kyle Kuzma, who replaced Nance as a starter, seems to have cleared some initial fears with a back concern. After missing the game against the Golden State Warriors, he returned to action Saturday against the Nuggets. 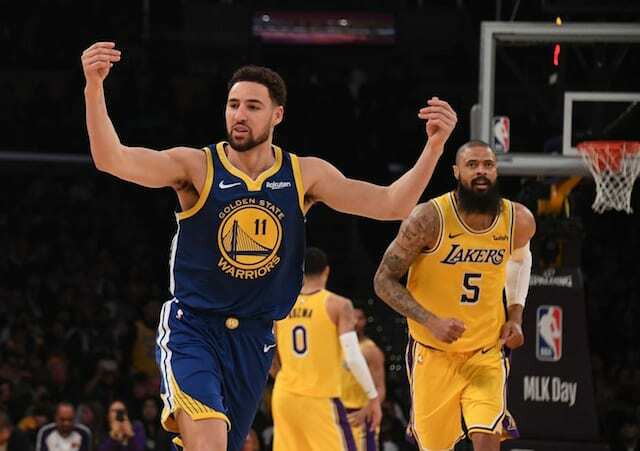 Brandon Ingram and Brook Lopez will have to carry the scoring load for the Lakers, with Los Angeles excelling when Ball can create, and these two are able to own the paint. Ingram’s progression this season has been a welcomed surprise, as the second-year player has put on muscle and used to increase his presence in the paint. Meanwhile, Lopez continues to hold down the interior on both ends of the court, a sight that established him as one of the best interior scoring centers in the NBA. Another surprising part of this season has been Julius Randle’s transformation in his new role off the bench. The former Kentucky star has made improvements on the defensive end, turning into a capable one-on-one defender and shot blocker. While his offense wasn’t a question, Randle has worked hard with his understanding and how to find a balance with his aggressiveness. Andrew Bogut may also see some time on the court, if the Rockets are able to thrive in the paint at Staples Center. The Rockets live and die by the 3-pointer, meaning a lot of long rebounds off of hoisted shots. If the Lakers can successfully control the glass, they can get out and use their youth to their advantage. Harden and Paul both live in pick-and-roll scenarios, able to create such easy baskets for their teammates when receiving too much attention. The key way to limit those easy dump offs at the rim are with strong rotations, meaning the weak side defenders have to accordingly rotate and maintain awareness of the shooters. It is no secret Harden loves exerting energy on the offensive end, scoring at will and taking over many games during the season. 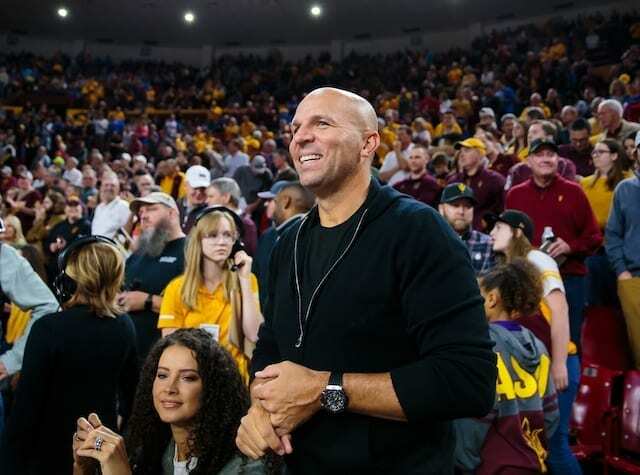 However, the key to limiting a player’s offense is making them exert energy on defense, attacking him continually and attempting to get him in foul trouble. Whether paired against Caldwell-Pope or Ball, those two players need to attack and capitalize when he is resting off a miss.